All Year 12 and 13 students at Dulwich College Shanghai, Beijing, Suzhou and Seoul follow the IB (International Baccalaureate) diploma programme and test for their IB diploma in Year 13. This year the average score across our colleges was an impressive 37.3 out of 45, compared to the world average of 29.95. 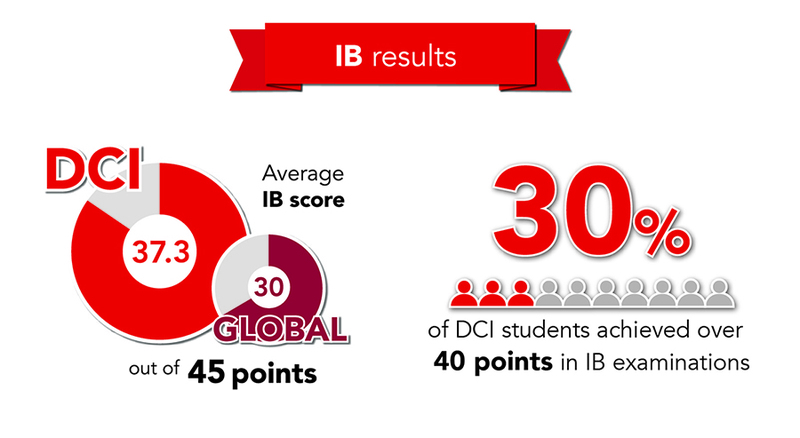 Further, 30% of DCI students attained over 40 points. We applaud our IB graduates for their achievements, and we wish them luck as they move on to university life. Our graduates have been accepted to Yale University, Rhode Island School of Design (RISD), University of Cambridge, McGill University, University of Oxford, Brown University and other leading institutions around the world. All Year 12 and 13 students at Dulwich International High Schools in Suzhou and Zhuhai prepare for A-Level examinations, which they sit at the end of Year 13. They produced a fine set of results in 2017, with nearly half (45%) of all grades at A* or A. Congratulations to our recently graduated high school students on these terrific numbers, and we wish them the best of luck in their future studies as they move on to a diverse variety of top schools such as Imperial College London, University of California in Los Angeles (UCLA), NYU Tisch School of the Arts, University of Oxford and Cornell University. All Year 11 students at Dulwich College in Singapore, Beijing, Shanghai, Seoul and Suzhou, as well as Dulwich International High Schools in Zhuhai and Suzhou took IGCSE exams this past spring in preparation for their final year courses. 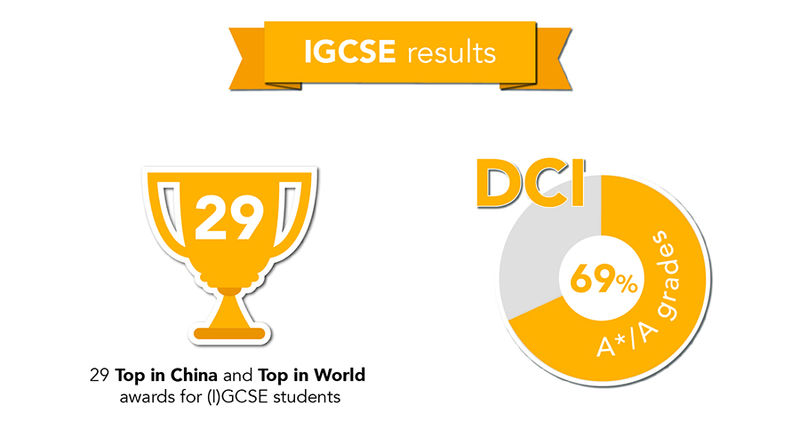 An outstanding 69% of DCI grades were at either A* or A, with a total of 29 Top in China and Top in World awards given out to DCI students for their excellent marks. We congratulate all of our students, and also recognise our teachers who put in tremendous effort every day to ensure that at our schools, students come first, and are thus able to reach their full potential.